Breck/Blake started off the Class 1A boys’ swimming and diving meet with a record-setting victory in the 200-yard medley relay, breaking its own time from the prelims (1:32.43) with a 1:31.26. It was the most fun swim for senior Spencer Pruett, with the record already in hand. 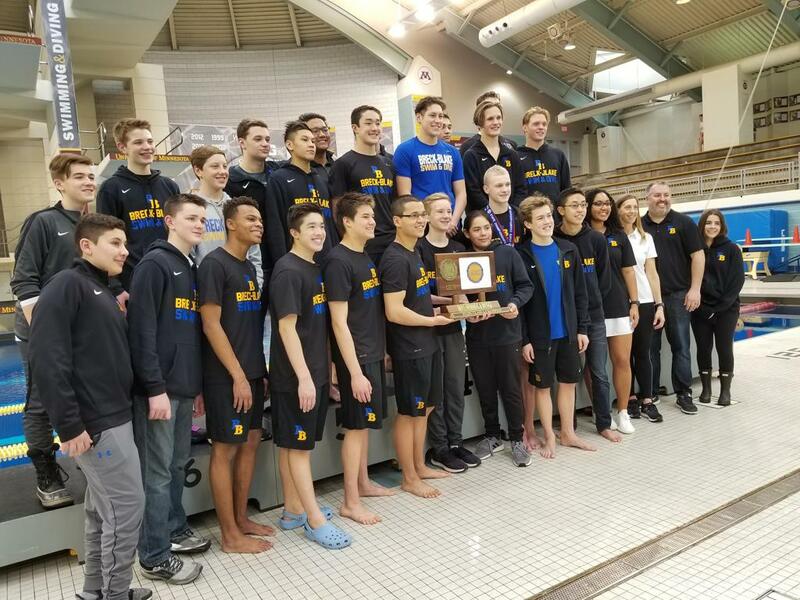 Breck/Blake rolled from there to win its third consecutive team title Saturday at Jean K. Freeman Aquatic Center at the University of Minnesota. Breck/Blake won with 423 points, well ahead of second-place Northfield (188 points). 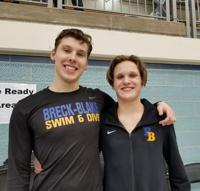 Breck/Blake once again scored points in every swimming event, with three individual victories and a sweep of the three relays. Seniors Anderson Breazeale and Dylan Brown and freshman James Pan were part of that record 200 medley relay. Breazeale defended his title in the 100 backstroke (49.05) and took second in the 50 free. He and his twin brother Thayer, Brown and Pruett combined to win the 400 free relay (3:06.46). Minnehaha Academy junior Andrew Karpenko called it the best meet of his life. He followed up two record-setting performances in the prelims with another pair of records in the finals. He won back-to-back titles in the 200 individual medley for the Class 1A record (1:48.05). He just made it under his state record in the 100 breaststroke with a 54.41. He knew coming in that he was capable of the state records. Jack Herczeg, a junior from Winona, won the 50 free to improve on his third-place from last year. He also defended his title in the 100 free (45.38). He said he was happy with his times. Teammate Grant Wolner won the 100 fly with a time of 50.44. The junior also took third in the 200 IM (1:51.83). Wolner and Herczeg each swam on the 200 and 400 free relay teams, which placed second behind Breck/Blake. Park Rapids senior Spencer Fritze won the Class 1A diving title with a 395.10 score. Class 1A record in 200 medley relay: Breck/Blake (1:31.26). Anderson Breazeale, James Pan, Spencer Pruett, Dylan Brown. Previous Class 1A record: 1:32.43, Breck/Blake in 2019 prelims. 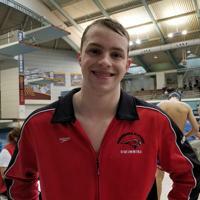 Class 1A record in 200 IM: Andrew Karpenko, Minnehaha Academy, (1:48.05). Previous Class 1A record: 1:49.02, Karpenko in 2019 prelims. 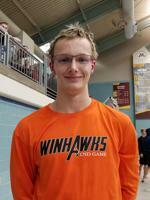 State record in 100 breaststroke: Andrew Karpenko, Minnehaha Academy, (54.41). Previous state record: 54.49, Karpenko in 2019 prelims.